Over winter break, a few guys got their hands on a lost Zelda no Densetsu (Legend of Zelda) disk. 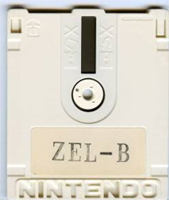 However, this disk didn’t contain the original Legend of Zelda, but rather it contained a lost prototype. This lost prototype contains an alternative version of the game with different sprites, different versions of the dungeons, etc. 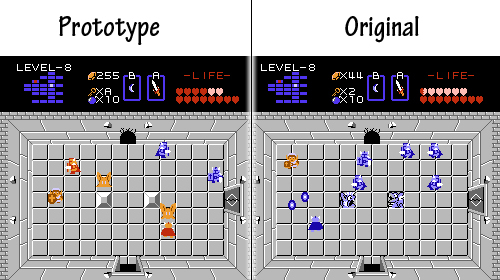 The prototype makes collecting rupees a lot easier, leading to more frequent maxed out wallets. It also contains less frequent visits by baddies, making it a lot easier then the original. For screen shot comparisons, click Read More. This prototype disk is pretty rare and probably difficult to find on E-bay; however, the guys who got it were kind enough to provide a ROM for the disk for download. You’ll need some sort of Famicom emulator to play the prototype ROM. 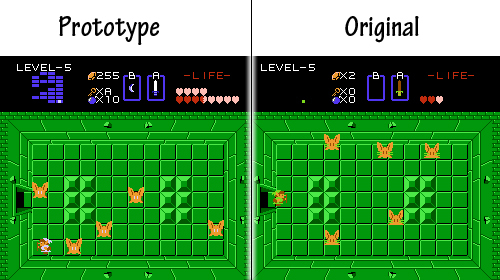 Since Zelda Dungeon doesn’t support emulation play, we will not be posting links to emulator downloads, so you’ll need to Google search one up. If you wish to find a link to the ROM download you can at this story’s source. Since I haven’t had any time to try this ROM out, I would like to hear about other differences. Does the famous first dungeon key glitch exist in the prototype? Please comment!